TaylorMade has brought back one of their most iconic names with the new AeroBurner driver. The “Burner” name is synonymous with distance, so it’s only natural that TaylorMade has designed this driver to be one of their longest and most forgiving. 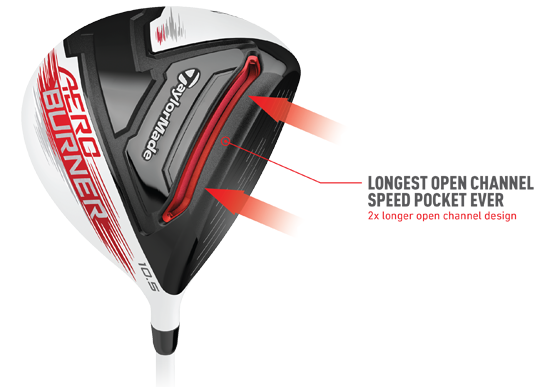 The most prominent feature on the TaylorMade AeroBurner driver is the redesigned Speed Pocket. The new Speed Pocket design has been elongated from heel to toe and it’s also deeper. This design increases the size of the sweet spot while also reducing spin. The name “Aero” alludes to the overall aerodynamic design and shape of the driver. The clubhead has multiple new design features; a more rounded toe, raised center crown, reduced drop from crown to skirt, and new hosel fin. All of these features assist the driver in reducing drag on the downswing. It all boils down to simple physics, if you can reduce drag then the club moves faster resulting in more ball speed and longer drives! The TaylorMade AeroBurner driver also features a shaft that promotes more speed, the Matrix RUL-Z 50. It’s a lightweight, high launching shaft that’s adds to the performance of the driver. The TaylorMade AeroBurner TP driver has all of the speed enhancing and drag reducing aerodynamics as the AeroBurner driver. There are a few differences on the AeroBurner TP driver that lower handicap golfers will prefer. The lie angle is flatter and the clubface is slightly open. These differences suit the eye of a better player and their playing characteristics as well, preventing the club from hitting the golf ball to the left (for a right hander). 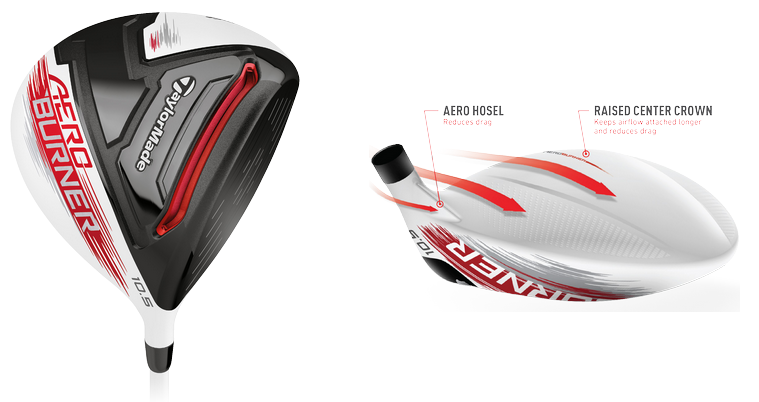 The hosel on the AeroBurner TP driver has also been elongated due to the other differences. You’re looking for more distance and more forgivness. You’re a better player looking to control your ball flight and hit it further. Send us your questions, our PGA Professionals are waiting for you!